Belarus with its capital Minsk is located in Europe (Eastern Europe, east of Poland). It covers some 207,601 square kilometers (slightly less than twice the size of Kentucky) with a population of 9,549,750. Belarusian and Russian are the languages spoken by people in Belarus. Latvia, Lithuania, Poland, Russia and Ukraine are bordering countries. Belarus is in Eastern Europe. 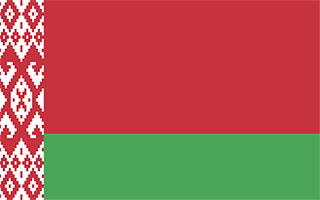 Belarus attained its independence in 1991. However, under authoritarian rule, it has retained closer political and economic ties to Russia than any of the other former Soviet republics. Traveling by car will get you far, since the infrastructure in Belarus was well developed after World War II. Gas is relatively cheap by European standards. Traveling by train around the country will get you to a lot of desired destinations relatively cheap and you will get a chance to capture a glimpse of Belarusian nature, as the forests and plains often start right on the edges of the cities. English is not widely spoken in Belarus, even though it is starting to be on the popular uprise. Inside of Belarus, you can get Belarusian rubles (as well as US dollars) from automatic bank machines for standard types of credit/debit card. Be very careful, exchange kiosks will not exchange any bill that is damaged or marked on in any way. Approximately half of the bills you currently have in your wallet will be rejected for exchange in Belarus. Be sure to take ONLY relatively new and undamaged foreign money with you. Fortunately, crimes against foreigners are rare, though criminals have been known to use force if met with resistance from victims. Historically, Belarus maintained an excellent health system, but when the Chernobyl disaster broke out, the medical care has damaged the system severely. Therefore, medical care in Belarus is neither modern nor easily accessible. The topography is generally flat with much marshland. The average density of population is about 46 per km². The climate in Belarus can be described as cold winters, cool and moist summers with transitional between continental and maritime. Potential natural disasters are large tracts of marshy land. To reach someone Belarus dial +375 prior to a number. The local cellular networks are operated on 900 MHz, 1800 MHz, 3G, 4G. Websites typically end with the top level domain ".by". If you want to bring electric appliances (e.g. battery chaarger), keep in min the local 220 V - 50 Hz (plugs: C, F). The sign for the locally used currency Ruble is BYR. Red horizontal band (top) and green horizontal band one-half the width of the red band; a white vertical stripe on the hoist side bears Belarusian national ornamentation in red; the red band color recalls past struggles from oppression, the green band represents hope and the many forests of the country.